Looking for natural treatments for hypothyroidism? If you suffer from Anxiety, Fatigue, Constipation + Weight Gain, you may have an underactive thyroid. Take our free quiz to see if you have hypothyroidism. This post is full of advice for hypothyroidism diet, medications and supplements, and lifestyle advice to treat hypothyroidism naturally! 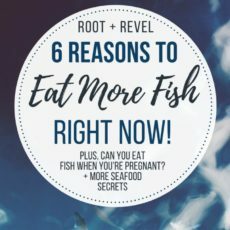 If you’ve been following along with Root + Revel for a while, you likely know that I was able to reverse my PCOS and cure my Leaky Gut naturally. I talk A LOT (a lot, a lot, a lot) about holistic health and natural remedies and why my first line of defense is never prescription medication. It’s not that I’m against medicine–in many cases, it can be the only option, a life-saving miracle, and a necessary and helpful solution. But I do believe that Americans are overprescribed, given a slip for a pill before trying anything else, including simple diet and lifestyle changes. I like to leave prescription medication as a last resort, one I rely on once I’ve exhausted all of my other natural resources, tried everything else and still find that I need that extra help. Why? Because prescription medication often carries serious side effects. 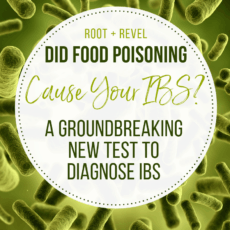 It rarely treats the root cause, rather it treats the symptoms (like a Band-Aid). And it’s usually expensive, requires a prescription from a Doctor (read: more expenses to see the doc and get that prescription), and (in my personal experience) isn’t always effective. In short, I just prefer a more integrative approach. And that’s what this post about Hypothyroidism is all about. Because unlike PCOS and Leaky Gut, hypothyroidism isn’t as simple changing your diet and lifestyle (though in mild cases, it definitely can be). As usual, I find it helpful to start at the beginning. So, let’s start with the thyroid itself. What is it? The thyroid is a small, butterfly-shaped gland located at the base of your neck. And what is hypothyroidism? Hypothyroidism is when the thyroid gland is underactive, meaning it doesn’t properly make or release thyroid hormones. On the other end of the spectrum, Hyperthyroid is an overactive thyroid, FYI. Now you may be thinking, okay, that doesn’t sound like that big of a deal. But here’s the thing: your thyroid controls EVERYTHING! Your thyroid affects your metabolism, heart function, digestion, energy, appetite, sleep, mood, hair, skin, body temperature, hormones and more! So when your thyroid is underactive, you’ll wind up with a slew of symptoms and likely feel like crap, quite frankly. My hypothyroidism diagnosis was a long and winding road full of struggles, frustration and exhaustion. It’s funny because I was actually diagnosed at the same time as I was diagnosed with PCOS and Leaky Gut, way back in 2014. But for some reason, my treatment took a back seat to those two disorders and it wasn’t until 2017 that I really found healing. So how did my doctor know that I was hypothyroid? Well for starters, there were all of my symptoms: anxiety, fatigue, constipation, low blood pressure, low libido, migraines, cramps, dry eyes, insulin resistance, irregular periods, history of childhood antibiotics, consistently low body temperature, the list goes on. 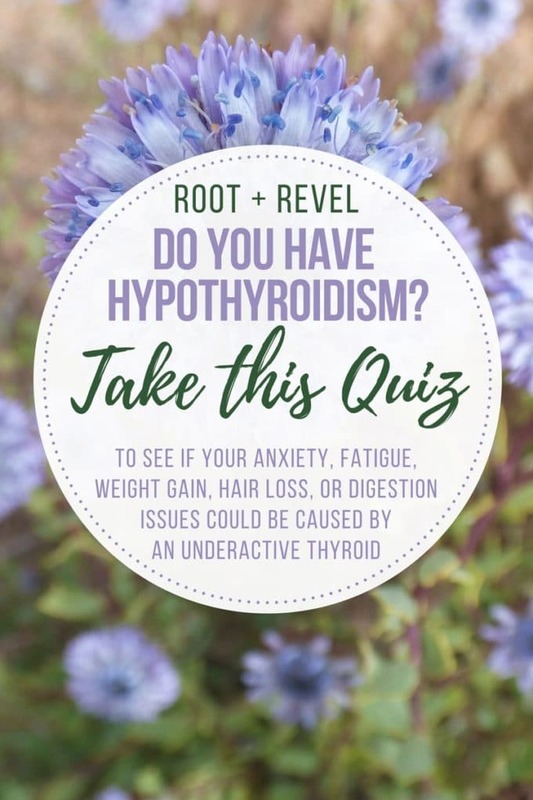 Read the next section below to learn more about Hypothyroidism symptoms–there’s even a free quiz you can take to determine if you might have hypothyroidism. And then there was my lab work, which showed elevated levels of TSH and Reverse T3 and low levels of Free T3 and Free T4. But here’s the thing… and this is SO IMPORTANT. Most doctors are still using out-of-date ranges for thyroid labs, ensuring patients that everything “looks normal”, when really there is a clear problem with their thyroid. For example, old ranges for TSH say that anything between 0.5 and 5.0 is normal. Normal meaning common, not meaning right. Just because a strikingly large percentage of the population has elevated TSH levels does not mean that it’s healthy or optimal. As we all know, most Americans are sick and tired (and sick and tired of being sick and tired) and some estimates suggest up to 40 percent of the population suffers from at least some level of underactive thyroid (source). Couple that with the fact that many Americans are under-diagnosed for thyroid disease. You can learn more about the thy-gap here. So the most integrative, successful doctors now use the updated ranges for TSH, which shows that anything less than 3 is good, but ideally our TSH levels are between 1-2. If you feel great and have no symptoms but your TSH shows 3.2 or 2.5, then great. You’re likely fine! But if you have symptoms and feel less than optimal and you show TSH levels above 2.0, you might have hypothyroidism (it may be mild or what’s called subclinical hypothyroidism) and you could feel a heck of a lot better if you treated it. On top of that, many doctors only look at TSH to check your thyroid, when that’s just one piece of the puzzle (TSH can be normal and there can still be a low functioning thyroid). You need a complete picture of your entire thyroid in order to fully understand what’s happening with it, so I recommend checking for TSH, T3 Reverse, Free T3, Free T4 and Thyroid Peroxidase Antibodies. Most conventional doctors don’t want to run a complete panel (I have no idea why they’d be resistant but time and again I hear this from my readers, and have experienced it myself), so it’s so important to find an open-minded endocrinologist or a skilled Functional Medicine Doctor. If your doctor is still unwilling to run a complete thyroid panel, a great alternative is with Everlywell’s at-home Thyroid test kit (get 10% off your order when you use my link!). Do you have hypothyroidism? If you’re not sure, we’ve created this free quiz that will tell you your likelihood of having hypothyroidism. Hypothyroidism symptoms include: family history of thyroid disorders, hormonal imbalances, irregular periods, infertility, constipation and other digestion issues, weight gain, bloating, puffy face, irregular hair loss and/or thinning of your hair and/or your hair has become coarse, dry, breaking, brittle, and/or is falling out, acne and/or dry or thinning skin, mood disorders, like anxiety or depression, fatigue, low energy and/or low libido, increased sensitivity to cold, low body temperature usually below 98.6 degrees and/or cold hands and feet, muscle weakness, aches, tenderness and stiffness and/or pain, stiffness or swelling in your joints, trouble falling asleep or staying asleep, numbness or tingling in your hands & fingers, difficulty concentrating, focusing or remembering things and brain fog. There are also certain risk factors for hypothyroidism including radioactive iodine or anti-thyroid medications for hyperthyroidism, lithium, Congenital disease or tumors on your pituitary gland, pregnancy, miscarriage, premature delivery and/or preeclampsia, Iodine deficiency, autoimmune disease, enlarged thyroid glands or goiters, and high levels of low-density lipoprotein (LDL) cholesterol. Take our free quiz to determine if you have hypothyroidism. 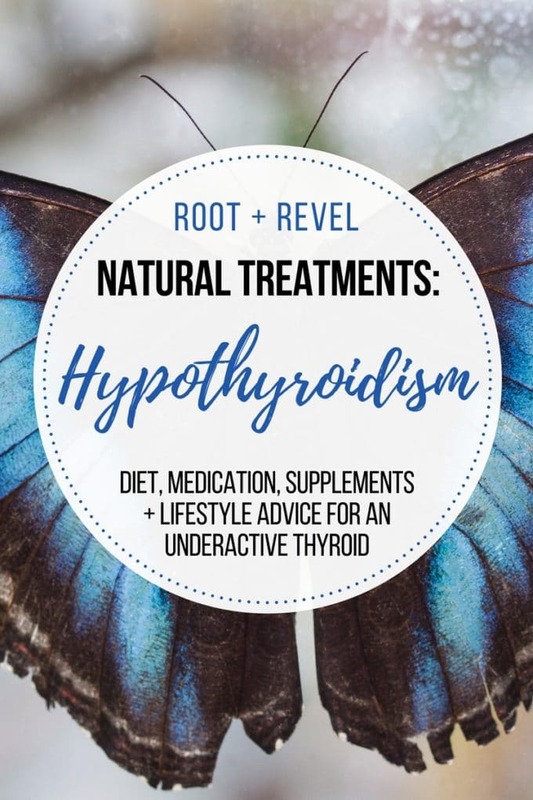 While there is technically no cure for hypothyroidism, there are many ways to naturally increase thyroid hormone production without medication. Hypothyroidism Diet: One of the main causes of hypothyroidism is inflammation, so following an anti-inflammatory diet is key to improving your thyroid function. Likewise, ensuring your diet is rich in nutrient-dense foods, particularly iodine and selenium, will also help your thyroid produce sufficient levels of thyroid hormones. Some of the best foods to eat for your thyroid: wild-caught fish, coconut oil and ghee, seaweed, probiotic-rich foods like yogurt, sauerkraut and miso, sprouted whole grains and nuts, fiber-rich fruits and vegetables, bone broth, and plenty of good ole’ H20. Getting plenty of protein, healthy fat and fiber is of utmost importance when you have thyroid dysfunction. On the flip side, there are certain foods that people with underactive thyroids should minimize or avoid altogether, like cruciferous vegetables, particular raw Brassica vegetables like broccoli, cauliflower, cabbage, kale, soy, and Brussels sprouts. While these are healthy foods for most people, they contain a compound called goitrogens, which might impact thyroid function by impairing thyroid peroxidase. Gluten, conventional dairy, refined sugar and refined flour, caffeine and alcohol (which stress your adrenals) are also contraindicated for hypothyroid patients. Hypothyroidism Medication: Conventional doctors almost always put their patients on either Synthroid® (a synthetic thyroid hormone pill that contains only T4; sometimes called Levothyroxine, Levothroid, Unithroid, and Tirosint) or Armour (Natural Desiccated Thyroid derived from the thyroid glands of pigs). Both are tablets that patients will have to take daily for the rest of their lives. In some cases, these medications might help, but there are all kinds of side effects and issues that arise. So I recommend two other medications over these two instead. Nature Throid or WPThyroid: This is a great alternative to Armour as it’s gluten-free (and as we discussed in the diet section, people with hypothyroidism are often gluten sensitive, intolerant or Celiac). I prefer this to Synthroid, too, because it’s not made in a lab and instead is a natural supplement (though it’s made from animal thyroids, the thyroid hormones are biologically similar to that found in humans.). Both Synthroid and Armour contain controversial inactive ingredients, including gluten, sugar, and colorants, whereas Nature Throid and WPThyroid do not contain any artificial colors or flavors, corn, peanut, rice, gluten, soy, yeast, egg, fish or shellfish. Compounded T3/T4: This is what I personally take, as I have low levels of T3 so taking a medication that only includes T4 would be totally useless to me. In fact, without getting too technical, T4 is not active in the body, it has to be processed and turned into T3. That’s why so many patients don’t find any relief from their symptoms when they’re put on Synthroid. And that’s why my naturopathic doctor put me on a compounded natural thyroid hormone that includes T3. Here’s why I love it: my dose is specifically tailored to my EXACT thyroid hormone needs and can be adjusted as time goes on. Compounded T3/T4 also is made without fillers such as lactose or gluten, or other harmful additives. Compounding pharmacists can also make sustained release versions so that the hormone is released continuously throughout the day, which is more beneficial. This is the most natural option for thyroid medication as it only contains porcine-derived thyroid hormones, which are the most similar to your body’s natural thyroid process.The downside: you have to go to a special pharmacy and it can be pretty expensive. I pay about $90 for a 90-day supply. But I’ve truthfully never felt better. Though I was doing all of the right diet and lifestyle changes to nourish my thyroid, my body still was not producing enough thyroid hormone and so I had lingering symptoms like anxiety, acne and constipation that I just couldn’t shake. Within a few weeks of taking my compounded thyroid hormone supplement, all of my symptoms disappeared and I’ve been totally symptom-free ever since! **Note: It’s important to realize that thyroid medication is not one size fits all, and there is no ONE right solution for everybody. Dosage is incredibly important, your specific thyroid labs will impact what type of medication is needed and we all have different needs, budgets, goals, and symptoms. So work with a functional medicine practitioner to find the thyroid medication that makes the most sense for YOU! Hypothyroidism Supplements: Your thyroid is impacted greatly by specific nutrients, like Iodine, Selenium, Zinc, Copper, Vitamin B, Vitamin D3, Vitamin A, Iron, and Omega-3 fatty acids. Instead of taking a dozen separate vitamins every day, I recommend finding a thyroid-specific multi-vitamin that already contains optimal levels of these nutrients. Dr. Meyer’s makes my favorite thyroid multi-vitamin, and it contains methylated vitamins to help with absorption and efficacy. Adaptogenic herbs like ashwaghanda and reishi are also really helpful for managing stress and anxiety, which are linked with your thyroid. Hypothyroidism Lifestyle Changes: The thyroid is an extremely sensitive gland and is especially reactive to the stress response. So doing things to reduce your stress levels, relax and take care of yourself in of utmost importance when it comes to treating your thyroid. We’ve done tons of articles on self-care that you’ll find helpful: How Yoga Can Change Your Life, Healthy Habits for Self-Care, DIY Epsom Salt Baths, Essential Oils for Anxiety, 7 Ways to Increase Happiness, and 10 Ways to Reduce Stress. Thank you for sharing this post. It really and will really help a lot of people especially those who are being diagnosed. The quiz also effective it’s like having a free checkup through the internet. Natural remedies are the best thing to be prescribed. The Compound t3/t4 medication..is that the name of it or will a doctor know what I am talking about? Hey Krista–it’s not a brand name, it’s custom made at a compounding pharmacy. Your doctor should know, but some are very old-school and set in their ways. You make it seem that the thyroid supplements can be obtained without rx. Hmm – I’m not sure why as I talk about doctors in the medication section, and you don’t need an rx for supplements. Looking for a good endocrinologist in the LA Area. Any suggestions other than trial and error? 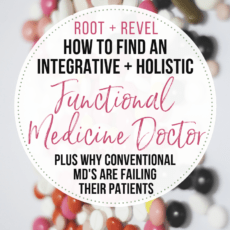 We’ll be publishing a post soon on how to find an integrative / functional / holistic doctor, so stay tuned!! Best article I’ve read and product recommendations. I’ve had lab work advise I have hypothyroidism but doctor’s advise I don’t which I understand that can happen but I know I do so looking for natural alternatives. I also suffer from post menopause depression and these conditions keep me in a state of fatigue and no sense of being. Thank you for your accolades, Debra! Sorry to hear about your depression. I imagine there must be some natural things you can do to support this, too, though I don’t have any direct experience with it since I’m not menopausal/post menopausal. You need a prescription so need to talk to your doctor. Good luck! I have taken synthroid for 7 years and then 2 years took naturethroid which helped my periods return along with this natural packet called Pregnitude. Now I’m back on synthroid because my doctor put me back on and refuses naturethroid. And wanted to also ask you if you are doing holistic approach with your hypothyroidism ? Meaning without any ndt too? Thanks! I think you need to do what’s right for you, so if you’d like to try the holistic approach, definitely go for it! Just be sure to work with a doctor or practitioner so you’re getting the support you need. I’ve been following your blog for some time now and I greatly value the info. Thank you for posting. please help me I want Best Homeopathy Clinic in Chennai for natural the treatments to hypothyroidism. Thank you! Sorry but I’m unfamiliar with where you live and can’t make a recommendation. You need to do your own research and vetting and trust your gut! I am confused. I was told that cruciferous vegetables where only a problem for people with an iodine deficiency. Could you please clear this up? I am so confused by the conflicting information! The thyroid uses iodine to convert T4 into freeT3. If you have hypothyroidism, you may not have an iodine deficiency per se, but your thyroid is almost certainly struggling in some way to get ahold of the iodine available to it and do what it needs to do with it. If the root cause is left unaddressed, simply increasing iodine is not always useful and at worst can be dangerous depending on how high you’re increasing your supplementation thinking if a little is good, then more will “solve” your problem. Hi, Dawn: Yes, there’s definitely a TON of conflicting information out there. When it comes to cruciferous vegetables and the thyroid, it’s all about raw veggies, not cooked. Raw cruciferous veg contains a compound called goitrogens, which might impact thyroid function by impairing thyroid peroxidase, an enzyme normally found in the thyroid gland. I don’t think this means that you should NEVER eat a single serving of raw cruciferous veggies if you have thyroid issues. But just that you shouldn’t overdo it and eat raw daily. Hope that helps! So happy that this post is helping you on your journey, Sarah!